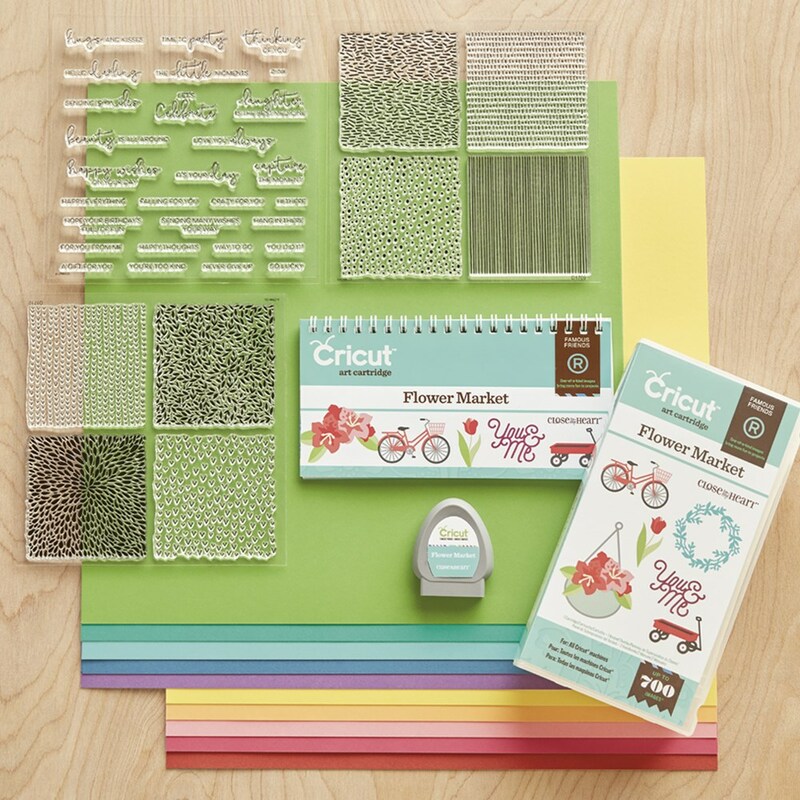 I am so excited to share this new Cricut Collection!! It is plump full of flowers, vases, leaves, wreaths, sentiments, and a CUTE font. It is designed for a year's worth of themes and occasions that are suitable for scrapbooking and card-making. I know you are going to love this collection as much as I do! I used Sea Glass paper as a base and for the mason jar vase. I stamped the edge of the white layer in flaxen with one of the background sets. That lace on the edge is from our new Rustic Home ribbon pack. 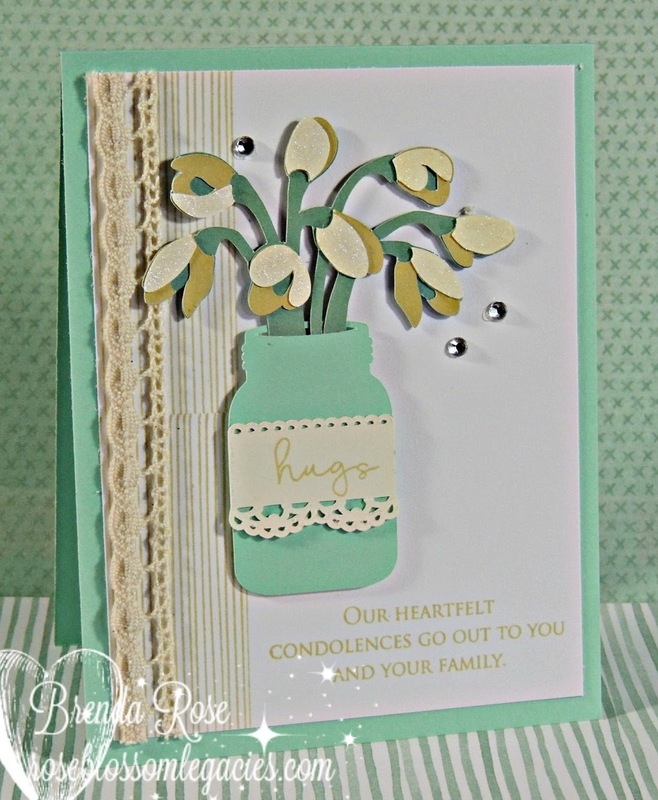 The flowers and doily cut are so peaceful that I felt like it would be a wonderful sympathy card. I used the Heartfelt Thoughts stamp set for the sentiment. If you would like to look through the shape index for this cartridge, click HERE!